When Mio came out with its first generation optical heart rate device for the wrist two years ago, it was ground breaking. These days however, heart-rate monitoring is fast becoming a standard feature in the fitness tracker world. Heart rate training is, simply, when you measure your heart rate during exercise to see how hard you’re working (or not). It’s one of the most effective ways to be sure you’re working at a level that will improve your fitness. The problem with wearing a traditional chest strap monitor, is the fact that they are uncomfortable, unwieldy and you need a compatible watch to view the readings. Today, there are a plethora of devices offering wrist based heart rate tracking including the Apple Watch, Fitbit and most recenty Jawbone with its latest firmware update enabling Passive Heart Rate tracking. 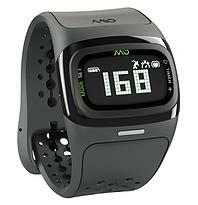 Mio has recently come out with its second generation heart rate tracker, the Mio Alpha 2. This time around, Mio is in competition with many fitness trackers choosing to give us BPM updates without the chest strap. The accuracy of heart rate data of some of these products however is questionable, particularly at performance speeds. Mio Alpha 2 is a watch that boasts a heart-rate monitor that it claims is as accurate as a chest strap. The Mio Alpha 2 package comes with the Mio Alpha 2 Heart Rate Sports Watch, USB proprietary charger, Quick Start guide, Warranty & Regulations and a Wearing and Charging card. The dimensions are: 252 x 43 x 18 mm, and the weight is 53g, so it is a fairly lightweight device. As are all Mio products, the Alpha 2 is an attractive and durable device. Although it comes in three sizes, the strap is fairly chunky, so looks-wise there is no doubt that the Alpha 2 is a wearable mainly intended for sport. For this purpose, it is beautifully made. But its probably not a device that would be fitting in an office environment or a formal dinner engagement. The band is made of soft flexible silicone and is somewhat stretchy to be able to ensure a snug and comfortable fit to detect your heart rate. The device has a curved screen that is integrated almost seamlessly into the silicone strap. The Alpha 2 comes equipped with a backlight to help you see the watch information in low light conditions. The watch face features two buttons neatly integrated to the left and right of the LCD digital display. These look so well integrated, that it is difficult to spot them the first time around. The underside of the watch shows the the optical heart rate sensors and the four pin connectors that magnetically attach to the USB charger. The Alpha 2 can store up to 25 hours of workout data locally and is waterproof up to 30 meters. Battery life is specificed to be close to 24 hours with continuous heart-rate monitoring, or up to three months in simple watch mode. Getting started with the watch is simple. Once the correct settings on the watch are selected, you will need to download the Mio Go app, set up your user profile (weight, height, gender, year of birth and maximum heart rate), and connect your Mio device. You are ready to go now. The app can be used to customize heart rate zones, and select display screens. You can choose either three heart rate zones or five, depending on what kind of training you’re doing. To ensure accuracy of heart rate detection, the watch should be worn anywhere between one to three inches away from your wrist. To start a workout, you must long press one of the buttons on the side to find your heart rate, then short press the same button to start the workout recording. There are two types of heart rate training modes to choose from: one that tracks you and alerts you when you’re moving outside of a single zone and another that keeps tabs on your heart-rate across all five training zones. The home screen of the watch shows the battery level, time, and when you are tracking your workout, it shows the workout mode, timer, and heart rate. You can also view real-time workout data on the mobile app. While you are tracking your workout, the indicator light below the display shows which heart rate zone you are currently in. Red means your heart rate is close to its maximum bpm, while a blue light means it is close to resting rate. A very useful function, that allows you at a glance to understand how much you are exerting yourself. You may be asking yourself what is heart rate training? Well it is simply using your heart rate zones to monitor your workout. All the top athlete’s heart rate train and that is because they work with exercise physiologists who can advise them how to reach their top potential in the shortest amount of time possible. According to Mio, with a 99% correlation to EKG in laboratory testing, Mio optical heart rate technology matches or outperforms the top heart rate monitor chest straps, even while running and cycling at high performance speeds. The electro-optical cell in the heart rate sensor “senses” the volume of blood under your skin. From there, sophisticated algorithms are applied so that your heart’s true rhythm can be detected. Following the workout, the basics can all be seen in the app. This includes pace, speed, average and maximum heart rate along with calories, distance and the heart rate zone you spend most time in during your session. Compared with the original Alpha watch, the Alpha 2 has a few more features, such as countdown, chronograph, and repeat timers. But compared with some other sports watches, the Alpha 2 isn’t quite as packed with features. As this is pretty much a runner’s watch, we feel that a glaring omission is the lack of built-in GPS, with pace and distance stats calculated using an accelerometer. This can be rectified to an extent by pairing the watch with your smartphone, and adding heart rate monitoring to the functionality that apps such as MapMyRun, Strava or Wahoo already offer. Heart rate training is proven to help you train more efficiently and effectively, so you can get the most out of your workout in the least amount of time. The benefit of training in heart rate zones is that you are optimising your body’s ability to take in oxygen to help fuel the production of energy. You are also increasing the efficiency of burning fat as another source of energy. Incorporating heart-rate training throughout your training will keep your heart rate stable and your muscles more relaxed, thus reducing your risk of injury. Mio Alpha 2 gives you real-time, continuous feedback on how your body is responding to exercise by displaying your heart rate directly on the LCD screen and the mobile app. Configure your heart rate zones and receive audible and LED color alerts to keep you in your target zone. While heart rate training is without question important in order to get the most from your workouts, there are areas in which Mio could improve on, in order to provide added motivation for users of the device. For example, the native Mio app would certainly benefit from improvements such as the ability to see your progress over time and to compare workouts. There is also a lack of community, social sharing or rewards. As a runner’s watch, the Alpha 2 is on the more basic side, lacking a few features you can find in other devices. It does not count steps when it is not in workout mode or record your sleep. It is predominantly ment for serious athletes, or those that run, bicycle or enjoy high-intensity activities on a regular basis. 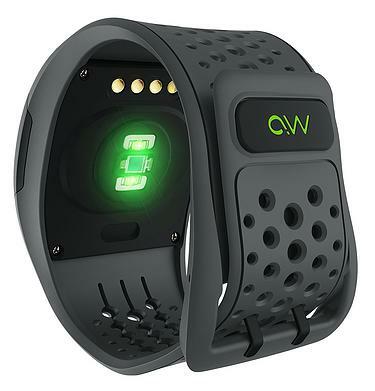 Its strengths are that it is waterproof, comfortable and offers accurate heart rate tracking from the wrist at performance levels. However its feature set is fairly limited, the app could do with improvements, and for a sports watch, we feel that it would benefit from the inclusion of GPS tracking. Dont confuse the Alpha 2 with a daily activity tracker such as the Mio Fuse, Basis Peak, Microsoft Band, Fitbit Surge or Jawbone Up. It was not built for this purpose. Alpha 2’s heart rate readings are however more accurate compared to most other wrist monitors, and work continuously no matter what type of exercise you are doing. Therefore, if you are looking for a sports watch and are really into heart-rate training, Alpha 2 represents an excellent choice. The Mio Alpha 2 does not provide vibration alerts like the fuse! It is a very accurate watch with much improved upon design and functionality. Providing you with great heart training data for any outdoor activity! Thanks Neal for kindly sending us your comment & amendment. We will review the text and make the change.